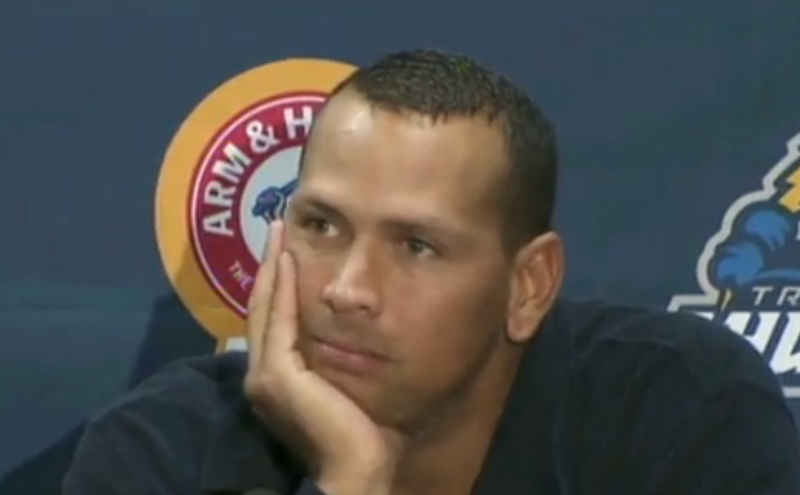 A-Rod gave a press conference yesterday. Along with thirteen other players, he is facing disciplinary action by major league baseball for performance enhancing drug (PED) usage. The video of this event is included above and three (of many) body language signals are isolated and discussed below. Many times resting the chin (e.g., 0:43 - 0:51 and 1:24 - 1:29) on the hand is a sign of boredom - but no so here. This high surface area self-touch of the hand to the face is nonverbal tell of high anxiety. What other signals clustered with the chin-rest in this moment allows us to make this distinction from boredom? What is another meaning of the chin-rest? 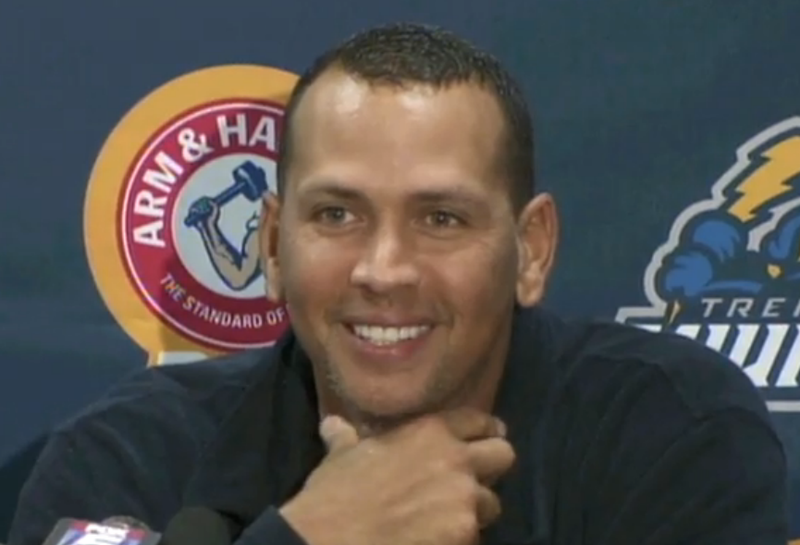 "Licking the teeth" as A-Rod does here (e.g., 0:14 - 0:15 and 0:42 - 0:43) is a common manifestation of anxiety. Care must be taken not to mistake this for a "Tongue in Cheek" display. Alex Rodriguez rubbed his neck and the underside of his jaw for a significant length of time. This begins with a nose rub (1:36) followed immediately by a bilateral face rub (1:37 - 1:38). Neck touching is a significant anxiety indicator and is sometimes seen in its analog form - the false tie adjust. Women typically will not touch such a large area of the neck or with such a large area of the hand or all the fingers & thumb. The majority of times women touch the neck with just one or two fingers. 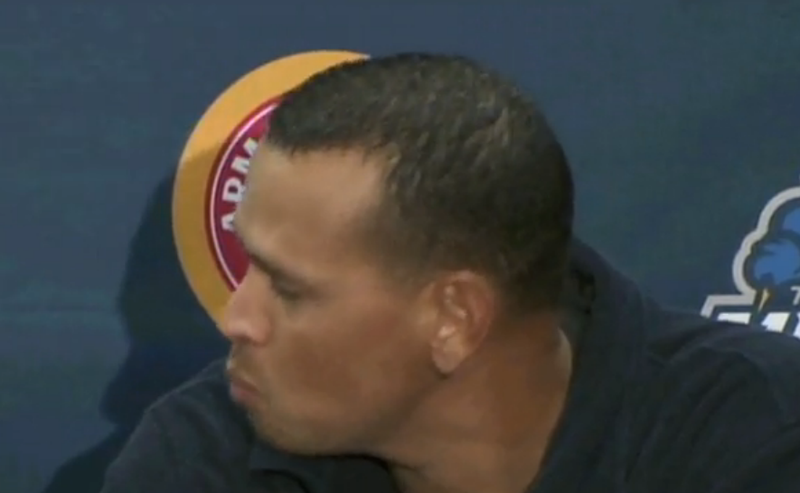 Often the manubrial notch (aka the supra-sternal notch) or the tissue just above it - is an area touched during times of particular anxiety as A-Rod does here from 1:39 to 2:02 . And although Rodriguez does not do so here, it's common to see the manubrial notch rub with a coexisting mild fear expression on the mouth and/or eyes. Nonverbal Analysis # 1820: What Causes David Beckham's Greater Anxiety - Barack Obama Teasing Him About His Age or His Underwear?